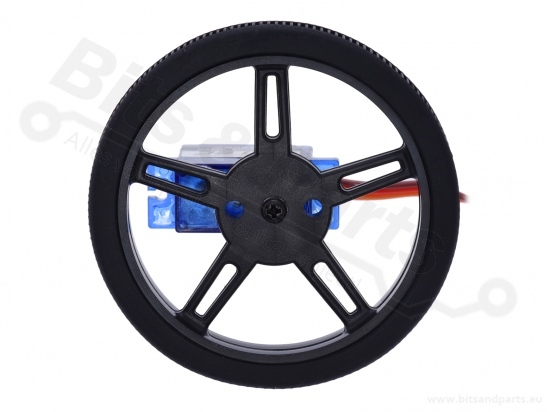 This pair of wheels is designed specifically for use with FS90R micro continuous rotation servos from FEETECH (formerly known as Fitec), and the combination can serve as a small, inexpensive, and easy-to-control drive system for a miniature robot. 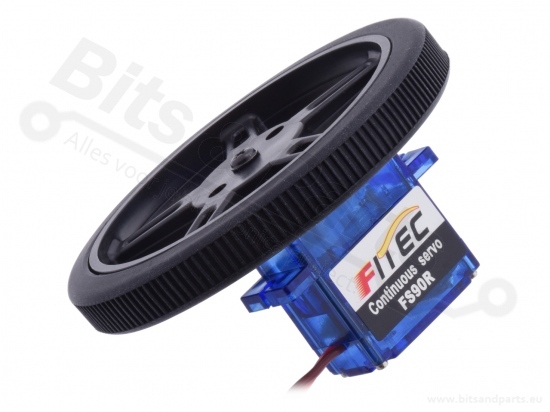 The wheel presses onto the servo spline just like a typical servo horn, and the small screw included with the FS90R accessory pack for mounting servo horns should be used to hold the wheel in place. 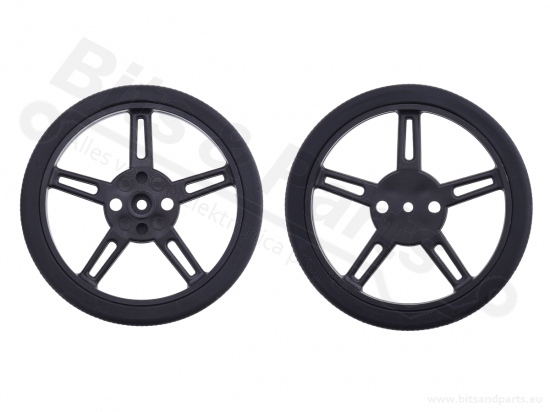 The wheels have silicone tires and measure 60 mm in diameter. 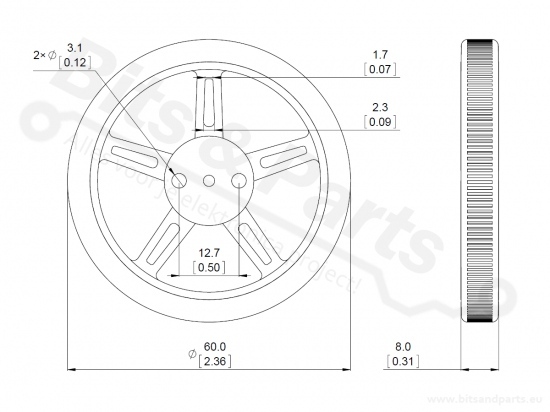 Two additional mounting holes for 4-40 screws make it possible to use the wheel with our universal mounting hubs for 3mm shafts, 4mm shafts, and 5mm shafts. 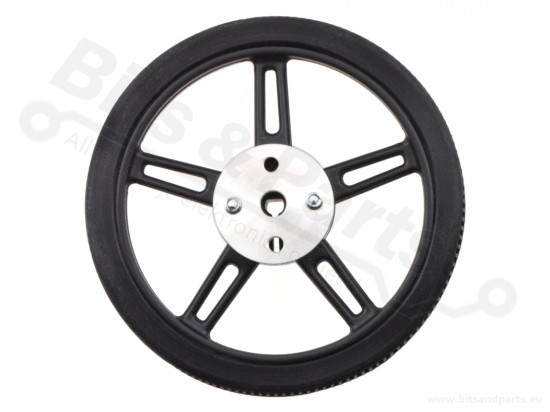 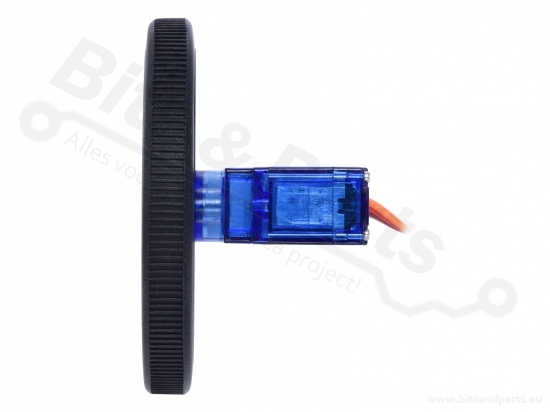 The slots in the five spokes fit #2 or M2 screws and allow additional accessories to be mounted to the wheel (e.g. 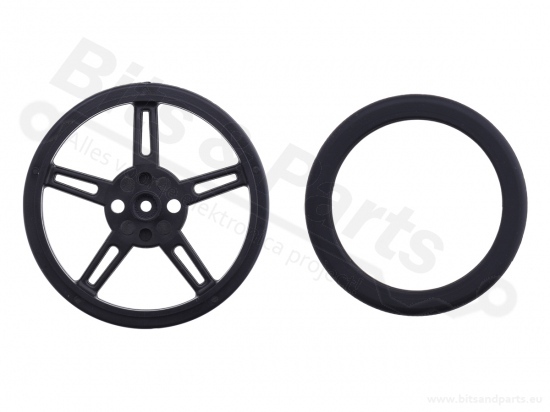 decorations or parts of an encoder system).